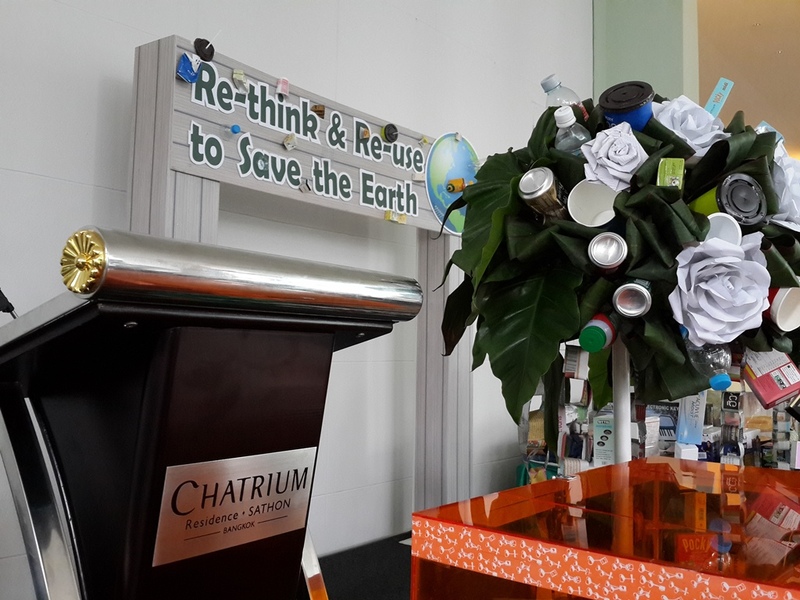 Bangkok, November 2014: The Re-think & Re-use” Garage Sale Event is part of Chatrium Hotels and Residences’ Green Project “Think First Think Earth”. The program encourages hotel staffs and residents to spruce up their homes and properties and sell or donate unwanted items for charity. Ms. Savitri Ramyarupa (2nd left) Managing Director, Chatrium Hotels and Residences led Mr. Magne Hansen (2nd right) General Manager of Chatrium Residence Sathon Bangkok, Mr. Mario Beyer (left) General Manager of Emporium Suites by Chatrium, Mr. Adrian Brown, General Manager of Chatrium Hotel Riverside Bangkok, and Mr. Tanasak Vanichavit (right) Hotel Manager of Maitria Hotel Sukhumvit 18 – A Chatrium Collection jointly organized green event “Re-think & Re-use” to save the Earth at Chatrium Residence Sathon Bangkok. 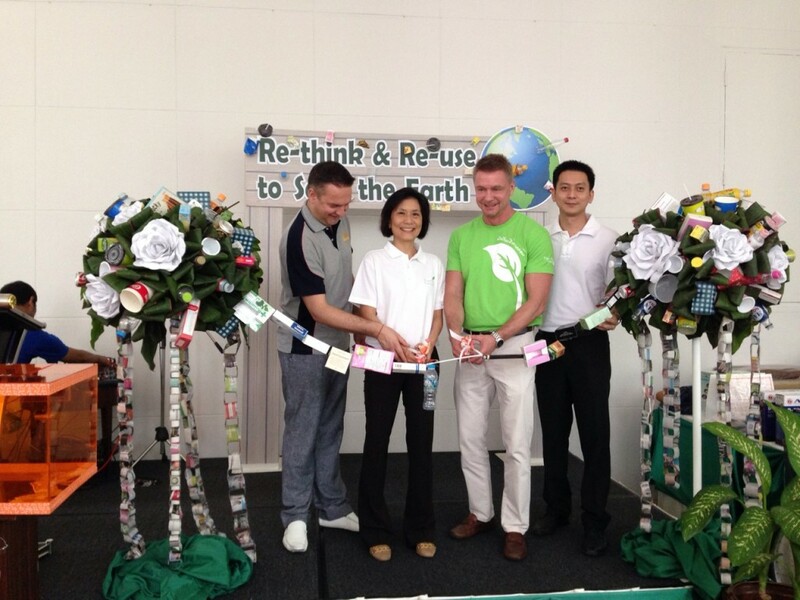 “The Re-think & Re-use Rummage Sale event provides a great opportunity for the entire community to help make our planet cleaner and greener” stated Ms. Savitri Ramyarupa. 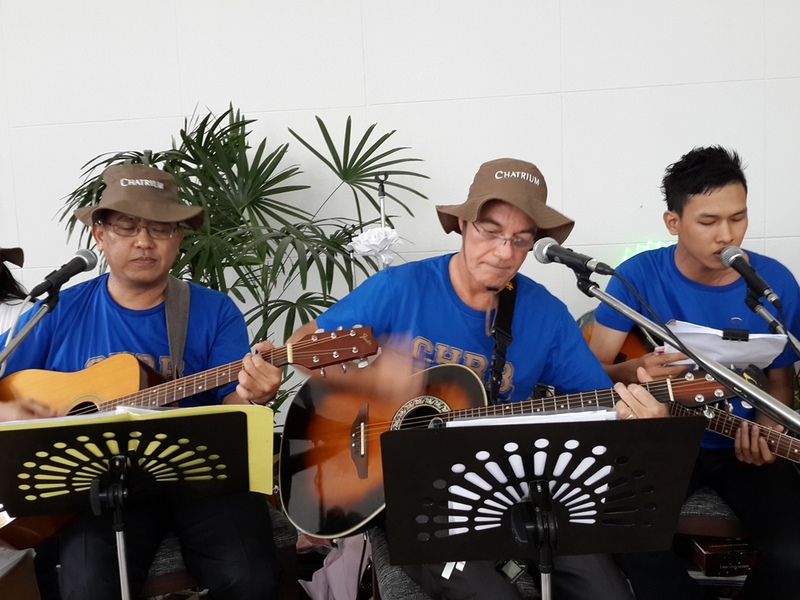 Special performance by Mr. Adrian Brown and the band from Chatrium Hotel Riverside Bangkok. The revenue generated from the Re-Think & Re-Use to save the Earth event over THB 100,000 will go to support the Foundation for the Blind in Thailand under the Royal Patronage of H.M. the Queen and The Foundation for Slum Child Care. Previous PostPrevious Savvy GuRu Photo Contest Winner Announced!